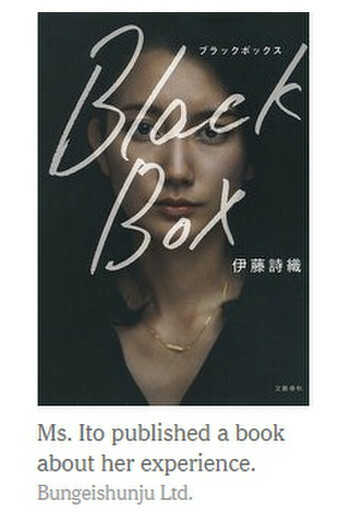 ・　Then Ms. Ito decided to do something women in Japan almost never do: She spoke out. ・　In a news conference in May and a book published in October, she said the police had obtained hotel security camera footage that appeared to show Mr. Yamaguchi propping her up, unconscious, as they walked through the hotel lobby. The police also located and interviewed their taxi driver, who confirmed that she had passed out. Investigators told her they were going to arrest Mr. Yamaguchi, she said — but then suddenly backed off. ・　Last month, prosecutors in Yokohama dropped a case against six university students accused of sexually assaulting another student after forcing her to drink alcohol. ・　Ms. Ito had met Mr. Yamaguchi twice while studying journalism in New York before their encounter on April 3, 2015. ・　The driver said Ms. Ito was conscious at first and asked to be taken to a subway station, according to a transcript of an interview with the driver. Mr. Yamaguchi, however, instructed him to take them to his hotel. When they pulled up to the hotel, the driver said, Ms. Ito had “gone silent” for about five minutes and he discovered that she had vomited in the back seat. 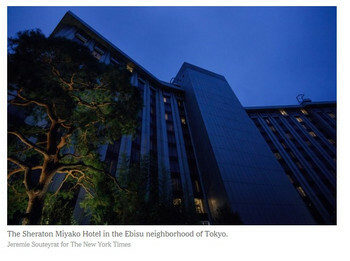 ・　Ms. Ito also appears incapacitated in hotel security camera footage obtained by the police. 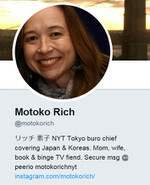 In pictures from the footage seen by The New York Times, Mr. Yamaguchi is propping her up as they move through the lobby around 11:20 p.m.
・　When she contacted him again in Tokyo, he suggested that he might be able to help her find a job in his bureau, she said. He invited her for drinks and then dinner at Kiichi, a sushi restaurant in the trendy Ebisu neighborhood. To her surprise, they dined alone, following beer with sake. At some point, she felt dizzy, went to the bathroom, laid her head on the toilet tank and blacked out, she said.